We are often asked by builders and development proponents how to determine building height and what constitutes a storey. These questions are important as strict height limits can apply. For example, in Brisbane the Low density residential zone specifies a maximum height of 9.5m and two storeys in most instances. Clearly understanding building height early in a development process will help to avoid complications down the track. Determining the ground level is an important part of measuring building height and number of storeys. Sometimes plan drafters or architects use the term ‘Natural Ground Level’ (or NGL) on plans. In Brisbane, this is not an official term. Brisbane City Council (BCC) use the term ground level, which is defined as a level of natural ground; or if the level of the natural ground has changed, the level lawfully changed (this is known as the ‘prescribed level’). (B) the development approval which approved the operational work. 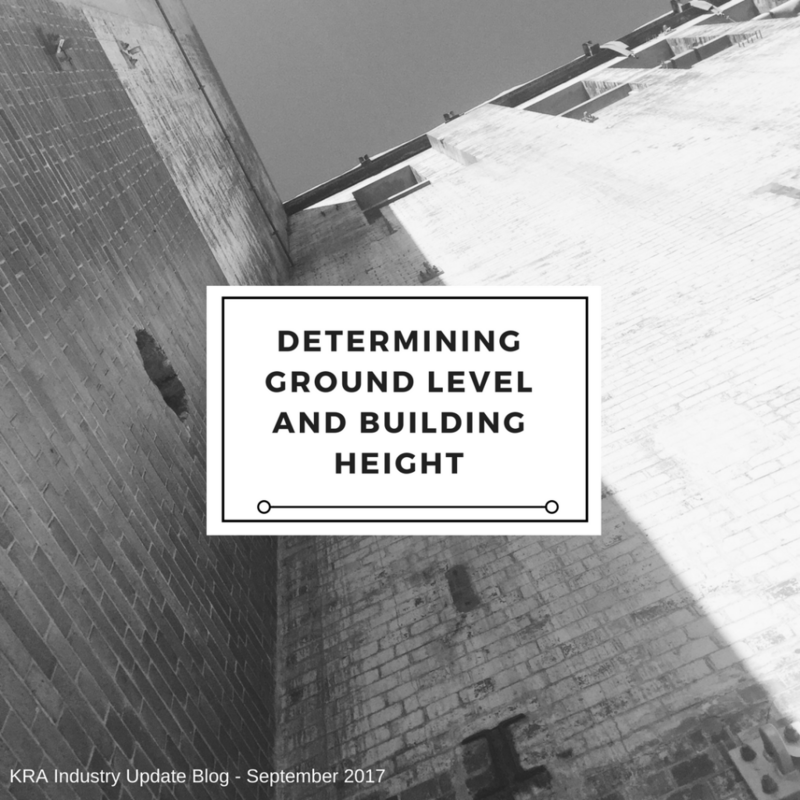 Determining the ground level is something that requires thorough attention and detailing on plans, and may require the assistance of a licensed Surveyor and research into past approvals and operational works. BCC defines the building height as being the vertical distance, measured in metres, between the ground level and highest point of the roof (refer to Figure 1), other than a point that is part of an aerial, chimney, flagpole or load bearing antenna. Figure 1: Height line above ground level. Building height is also expressed in relation to the number of storeys in a building above ground level. A storey is a space within a building between two floor levels or a floor level and a ceiling or roof (click here for BCC’s full definition of storey). It is important to note that a basement is not a storey, where no part of it protrudes more than 1 metre above the ground level. For example, a three level building on a sloping site may be considered only two storeys when the basement level (e.g. garage) is ‘cut in’ to the block and does not protrude more than 1 metre above ground level. For more information contact Doug from our office on (07) 3876 0533.